MANSFIELD, Ohio — Fort Recovery High School’s boys and girls track teams both finished in the top 10 at the Mehock Invitational on Saturday at Mansfield High School. The Tribe boys placed eighth out of 22 teams with 40 points. East Kentwood (Grand Rapids, Michigan) won with 104.2 points. Shelby (59) and Mount Gilead (56) were second and third respectively. East Kentwood also won the girls meet with 122.66 points. Madison (80) was runner-up and Beaumont (63) placed third. The Indians totaled 18 points for 10th. Robby LeFevre was second in both the 100- and 200-meter dash races. In both, he trailed an East Kentwood athlete and another from an OHSAA Division I school. The 4x200 relay team of Riley Pearson, Owen Moorman, Jacob Acheson and LeFevre placed third — also behind EKHS and a Division IN team — and the 4x400 relay team of Brayden Schoen, Drew Muhlenkamp, Jared Timmerman and Moorman were third as well. Kierra Wendel finished third in the 800 run, and joined Anna Wendel, Ava Bubp and Chloe Will to take fourth in the 4x800 relay. Whitley Rammel finished fifth in shot put. 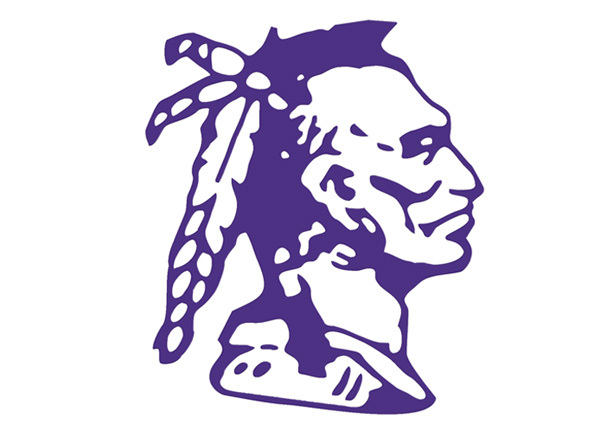 VAN WERT, Ohio — Early deficits proved costly for the Fort Recovery High School softball team as it lost a pair of games on Saturday at Lincolnview. The Indians (7-7) lost to the Crestview Knights 12-1 in six innings before an 11-5 loss to the host Lincolnview Lancers. Fort Recovery allowed 12 consecutive runs, including three in each of the second, third and sixth innings, in game one against Crestview. It wasn’t until the bottom of the sixth inning until the Tribe got on the scoreboard. In game two, Lincolnview put up six runs during the first inning. The Indians cut the score to 6-5 at the middle of the fourth inning, but the Lancers pulled away. Hannah Knapke had a triple, a single and three RBIs for the Indians, who also got a triple from Jackie Homan. Brenna Homan knocked in four runs, Rachel Thien brought home three and Macy Day drove in two RBIs. OSSIAN — Late runs in both games helped the South Adams softball team sweep the Norwell Knights on Saturday. The Starfires (6-1) scored all of its runs in the last two innings to win the first game 5-0, and took the second 13-8 thanks to a seven-run seventh. Mallory Hirschey had two doubles and two RBIs for the Starfires, while Kristen Wynn had a double, three singles and three RBIs. Taylor Augsburger tripled, and Jenna Myers and Kayla LeFever each collected three hits. Jade Baker and LeFever had two RBIs apiece. Anna Nussbaum was solid pitching in the first game, scattering three hits over seven innings. She had 13 strikeouts and walked three. She pitched in relief in game two to get the win. KENDALLVILLE — The South Adams girls tennis team finished fourth on Saturday in the East Noble Invitational. Concord won the team title with 33 points, and Chesterton scored 31 points for second. Westview had 18 points to finish third, two points ahead of South Adams. Alexa Kinsey at No. 3 singles beat Claire Liverett of Penn 6-3, 6-4 in the third-place match. She beat Melanie Barrientos of West Noble in the opener 6-2, 6-1, before falling to Leah Rochford of Chesterton 6-0, 6-0 in the second round. The No. 1 doubles team of Kirsten Herman and Gabi Bailey won their opening match 6-0, 6-0 over New Haven’s Delainy Rhoto and Beka Snodgrass ahead of a 6-1, 6-1 loss to Keegan Thursby and Lauren Pollock of Concord. They rallied to beat East Noble’s Erin Bloom and Kyndal Mynhier 6-4, 6-1 to place third. Josie Grabau (No. 2 singles) was fourth, and the No. 2 doubles team of Michelle Donis and Anna Dee were sixth.